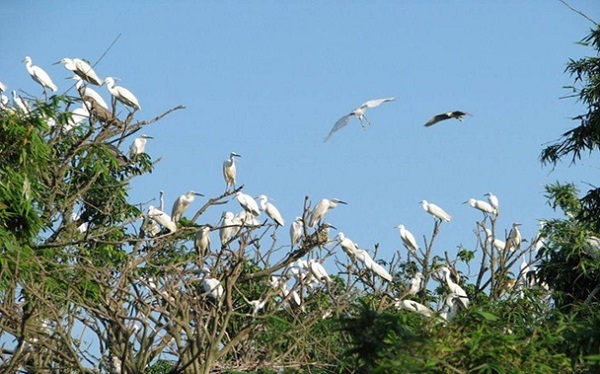 Magnificent picture of thousands of white storks flying to their nests, the chance to witness how parent birds feed their younger babies and many other special things are what can impressed you in unique bird sanctuaries in western Vietnam. 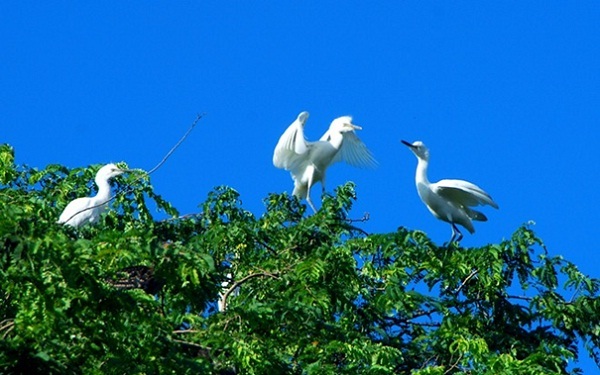 If you are interested in Vietnam Mekong Delta travel and want to discover the truly beauty of the Western Region, the following 3 most popular bird sanctuaries should be included in your destinations. 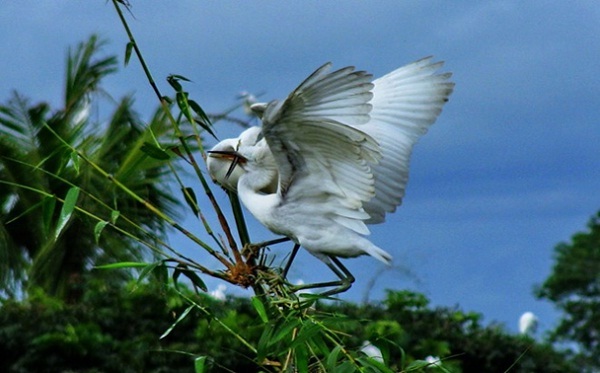 Being one of the tourist attractions in western Vietnam, Tan Long Stork Garden is worth to visit, especially as if you are still wondering what a typical Mekong Delta landscape looks like. Like Bang Lang Stork Garden, you can also rent a canoe down the river to visit this one. There is a 10m high tower locating right at the center of the garden which allows travellers to admire the amazing view from high above onto the garden. Another special thing here is that you will have a great chance to enjoy the traditional music performance as well as specialties of Southern Vietnam in Tan Long Stork Garden.